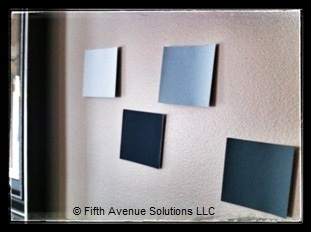 Having a difficult time “seeing” the paint on your wall, but don’t want a patchwork painted wall while you decide? Try painting the inside of a cardboard box, or cutting it up and painting a single side. The weight and structure of the box will allow you to lean your “new wall” against any area of your room. Carry it around, take it to a friend, and get a feel for what it will look like in different light conditions – both at different times of the day and on different walls. All of this while never committing more than the cost of a sample and that old moving box you just knew you’d use for something! And what if you can’t decide before that dinner party for which you wanted to paint in the first place? No problem! Just stash the samples in the closet and the room is good as new, no re-painting required! 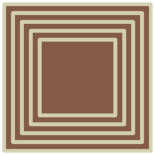 This entry was posted on August 13, 2013 by fasrooms in Bathrooms, Bedrooms, Dining Rooms, Entries, Living Rooms and tagged color, creative, home decor, interior design, money saving, new design.